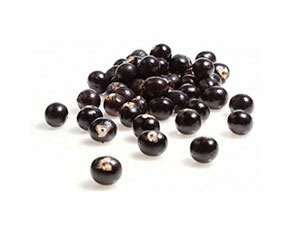 Acai berries come from the Acai palm native to Central and South America. It is sold as a powder, in capsules to take as a supplement, as a juice or as frozen pulp. It's a gorgeous deep purple colour, and that colour comes from the presence of various anthocyanins, phenolics and other antioxidants present. The antioxidant capacity of acai has been debated, but certainly as measured by ORAC (used on the US antioxidant database) it's pretty impressive with a value of 102,700 micromol TE/100g - for comparison wild blueberries have an ORAC value of 9,621 micromol TE/100g. Whether this translates into real health benefits in the body is as yet unknown, but this is a hot topic in nutrition science. Acai is sold as a superfood, but whether it really has extraordinary powers over locally grown berries is debatable. It is expensive and so you have to make up your own mind. The pulp is delicious in smoothies or you can combine with banana, milk, toasted muesli and fresh fruit for breakfast. You can add the powder to your cereal or muesli (and be ready for purple milk! ), or mix through yoghurt. The majority of acai comes from the Amazon rainforest, so do be sure that you are buying products from a company with good sustainable farming practices and a fair trade policy. 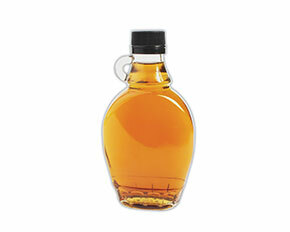 Agave syrup (or sometimes called agave nectar) comes from the agave plant native to Mexico and also used to make tequila. It’s hailed as ‘all natural’ which is really misleading – so is white table sugar after all. Although the sweet nectar direct from the plant has been used for centuries, including as far back as the Aztecs, the stuff you buy in a bottle has undergone considerable processing. The resultant syrup is no healthier than regular sugar. It does have a low GI, but that is down to the high percentage of fructose present. This may be harmful in high quantities and lead to increased liver fat and abdominal (visceral) fat. Agave is much more expensive than regular sugar so unless you particularly like the slightly caramel taste, I can't see why it is worth it. Be careful not to psychologically tell yourself that products made with such products are healthier, and unwittingly you eat more of them! A little sugar is fine in your diet, but many people have way too much. Alfalfa sprouts are the young early shoots of the alfalfa plant, and as with all sprouting shoots they are incredibly nutrient rich. They are rich in vitamin C, the major water-soluble antioxidant in the body, vitamin K, essential for blood clotting and provides good levels of several other nutrients including folate, iron, selenium, magnesium, phosphorus, manganese, copper and zinc. All for only 33kJ in a whole cup! You can add alfalfa sprouts to sandwiches and wraps, toss through salads or scatter over the top of a cooked pasta or grain dish. They're also delicious on wholegrain crackers with cottage or cream cheese. Alfalfa sprouts have been linked to several outbreaks of food poisoning caused by salmonella or E. Coli present in the sprouts. 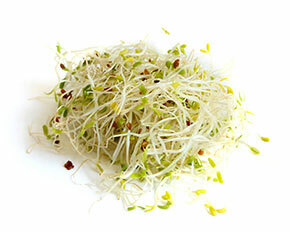 Take care to wash sprouts thoroughly before eating to reduce your risk. Almond Butter is literally a paste made from whole or blanched almonds. Look for one made with the whole almonds, as many of the beneficial plant compounds found in the nut are in the skin and the skin adds fibre. Almond butter is energy dense - a tablespoon provides about 420kJ - but it's also very nutrient dense making it well worthy of a place in your pantry. The kilojoules mostly come from the fats present, and these are dominated by healthy monounsaturated fats (the same family of fats found in olive oil and avocado). Of 9g of fat per tablespoon, 6g are monounsaturated fats. These have been shown to be of benefit in reducing belly fat and are thought to be a key component leading to the health benefits of the Mediterranean Diet. Almond butter is a rich source of manganese and magnesium, and a signficant source of phosphorus, copper, iron, calcium, zinc, iron and several B group vitamins. Try almond butter on wholegrain toast with sliced banana on top and a glass of milk or dairy alternative for a quick, easy breakfast. I often hear nuts being touted as great for protein, however the amounts are actually pretty small in tree nuts. 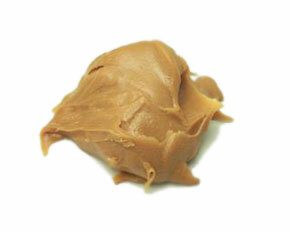 A tablespoon of almond butter will provide only 2g pf protein. If you are vegan however this can be a significant contribution to your day's intake and provides a balance of amino acids to complement your other plant sources. But this is why I classify nuts in my Fats category for the purposes of the Dr Joanna Plate. Almond milk is made principally with water and ground almonds (albeit a very small amount – only 2-3%). Depending on the brand various other ingredients are added; usually sugar or another sweetener such as agave syrup, a small amount of oil such as sunflower or linseed oil and salt. Others also add emulsifiers or natural gums such as carrageenan. Almond milk is terrific for vegans and for anyone who can’t or doesn’t want to consume dairy milk. It’s also lactose and gluten free. If you’re watching your weight, almond milk can be useful as it’s low in kilojoules – about the same as skim milk – but with much less protein. The fat content is only a little less than regular milk, although the types of fat are very different. Almond milk is rich in monounsaturated fats that can help you to reduce belly fat and are good for your overall health. Just bear in mind it’s not the same as having a full handful of raw nuts everyday. 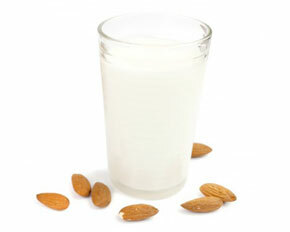 Per cup, almond milk provides 380kJ, 2g of protein, 6g of carbohydrate and 7g of fat. You can use almond milk on your muesli or cereal, as a drink on it’s own or blended in a smoothie with fruit. My personal favourite is frozen banana, prunes and almond milk – yum! Almonds are rich in healthy monounsaturated fats - the same family of fats found in olive oil. They are also fibre rich and provide some plant protein. This makes them an excellent snack as they help to cut hunger pangs and keep you satisfied until mealtime. Despite their relative energy density, almonds as with all nuts are associated with better weight control. Make sure you therefore you are not choosing low fat processed snack foods in place of all natural, nutrient dense almonds. Almonds are head and shoulders above other nuts for vitamin E. A handful is pretty much all your need for your daily vitamin E quota. Vitamin E is the major fat-soluble antioxidant in the body. 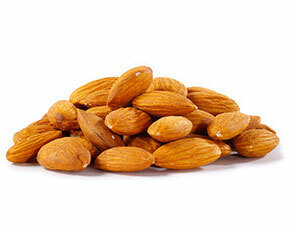 Almonds provide you with calcium - especially important if you don't consume any dairy foods. They're great for many B group vitamins, especially riboflavin and folate, minerals including magnesium, phosphorus, manganese and copper. You'll also benefit from a significant amount of iron and zinc - both commonly low in Western diets. That's a pretty impressive package for a single natural whole food! Recent research has shown that eating a handul of nuts a day is associated with living longer! It's one of the easiest and tastiest ways to improve your health. I add almonds to my homemade muesli, sprinkle over my kids porridge and snack on them in the afternoon while I drink my green tea. Thank goodness the low fat days are long gone! Amaranth is a pseudograin similar to quinoa. While it is less common today and may be new to you, it is an ancient grain and was a staple food of the Aztecs. Compared to other grains amaranth stands out for its protein content - a cup of cooked amaranth has 9g compared to 5g in the same amount of brown rice. 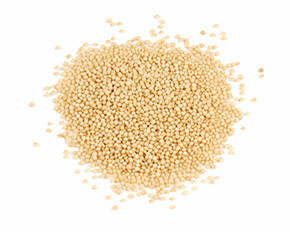 In addition to having good protein levels, amaranth has a good balance of amino acids - the building blocks of proteins. Most grains are low or lacking in lysine, but amaranth provides this essential amino acid. This makes it a particularly good choice for vegetarians and vegans. Amaranth is an excellent source of the mineral manganese with a cup of the cooked grain providing about 40% of your daily requirement. While we only need tiny amounts of manganese, it plays an essential role in the body as part of several enzymes. One of these is an antioxiant enzyme called superoxide dismutase (SOD). SOD helps to prevent free radical damage to cells and DNA. It's also one of the grains with the most calcium, with 100g of uncooked amaranth providing 160mg - that's about 16% of the average adults daily requirement. If you don't eat meat, including amaranth in your diet is a good way to boost your iron intake. A cup provides 5.2mg of iron. Bear in mind that plant iron - called non-haem iron - is very poorly absorbed but by including a good source of vitamin C in the same meal you can boost the absorption of the iron. Try adding amaranth to your salad greens and sliced capsicum, both rich sources of vitamin C.
The Mexicans pop their amaranth grains to make a kind of popcorn that they then mix with honey to create a sweet treat called alegría, which means 'happiness' in Spanish. 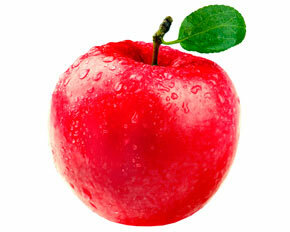 Apples are one of our most commonly eaten fruits, yet are not usually thought of in any special nutritional light. That's a real shame as they truly deserve recognition. They are an excellent source of fibre with one apple providing about 4g, 13-16% of your recommended daily amount. Apples have a low GI, so the natural sugars present in the fruit are slowly absorbed, helping you to feel full and eat less. They make for a pretty perfect snack! Apples are incredibly rich in antioxidants - they have twice the antioxidant power of an orange, and a Choice review found Red Delicious apples to have 10 times the antioxidant power of goji berry juice sold on its antioxidant credentials! Be sure to eat the skin as this is where most of the antioxidant compounds are found. Apples also provide a good level of vitamin C, potassium along with small but significant amounts of B group vitamins and several minerals. The old adage "an apple a day keeps the doctor away" now has pretty solid scientific evidence to support it. Oxford University researchers recently published a study in the prestigious British Medical Journal showing that in the over 50s eating an apple a day would have similar effects in terms of reducing blood cholesterol and heart disease risk, to taking a statin drug. The benefits would go way beyond heart health, it would be far cheaper, far tastier than swallowing a pill, and there would be no side effects. I'd take the apple over a drug any day! Apple cider vinegar is touted as being a cure all for pretty much everything from sore throats to detoxing the body. Unfortunately there is very little evidence to back up any of these claims, and some have been completely disproven. Vinegar is produced as a result of fermentation of the particular food, in this case apples, by a bacteria or other microorganism. This process converts the sugars in the food to alcohol, and then to vinegar, which literally means ‘sour wine’. 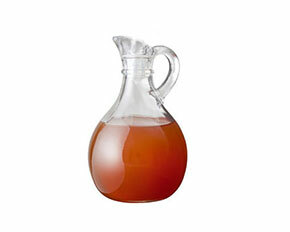 Apple cider vinegar can help to lower blood sugar levels, but in this regard it is no different to other vinegars. It may be one of the benefits of adding a vinaigrette dressing to a meal; it lowers the glycaemic index by slowing digestion and absorption of the carbohydrates. This may also help you to control your weight, as you feel fuller for longer and so you eat less overall. Vinegar is highly acidic and so on it’s own it’s pretty harsh on body tissues and undiluted it can damage the soft tissues of the mouth and oesophagus. It can also be extremely damaging to tooth enamel. If you do drink or gargle with apple cider vinegar, avoid brushing your teeth for at least 30 minutes afterwards to minimise the loss of softened tooth enamel. The scientific name for apricots is Prunus armeniaca because Armenia was one of the first known countries to cultivate them. They have been consumed since ancient times, and were popular with the Romans and ancient Greeks. They were also grown in Persia and the Middle East, and apricots remain popular today. Since the flesh of an apricot is drier and firmer than other stone fruits, they cook really well. Traditionally they are used in savoury dishes such as tagines, sweet in tarts or simply eaten raw. Apricots don't ripen well once picked so be sure to buy good quality fruit that is soft to touch. Nutritionally apricots are rich in vitamin C and the wonderful orange colour comes from the beta-carotene present. This can be converted to vitamin A in the body, essential for good vision and eye health. 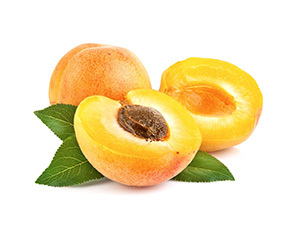 Apricots also contain the carotenoids beta-crytoxanthin (a strong antioxidant), lutein and zeaxanthin - the latter two both shown to reduce the risk of age-related macular degeneration and cataracts. Apricots are also full of fibre - a single fruit provides a gram. They also have a low GI, although to be honest since a single fruit contains only 3g of sugars, you would have to eat a whole load of apricots to make much impact on blood glucose levels. Dried apricots also have a low GI, but here it is more relevant as it's all too easy to eat these like lollies! Each dried apricot provides about 35kJ and 2g of sugar. I do love them as an all-natural sweet snack and they are delicious mixed with a handful of nuts. The drying process does not affect the antioxidants present, although you will lose some vitamin C.
Dried apricots usually have sulphur dioxide added to preserve the wonderful bright orange colour. For most people this causes no problem, but if you have asthma or are sensitive to chemical preservatives look for organic dried apricots. You'll spot those without the preservative easily as they will be a dark brown colour. Don't let that put you off - the flavour is just as good. Asparagus contains a pretty spectacular array of vitamins and minerals including vitamin A, vitamin B6, vitamin C, Vitamin K, thiamin, riboflavin, niacin, folate, iron, phosphorus, potassium, copper and manganese. In fact, a single serve (3 spears) provides at least 10% of your daily needs of thiamin, biotin, folate and vitamin C.
Depending on where it is grown it can also be an excellent source of the antioxidant mineral selenium. If any vegetable gets to be called a superfood, asparagus should definitely qualify! Rutin – an antioxidant from the bioflavonoid family that plays an important role in strengthening blood vessels. Rutin may therefore be helpful if you have varicose veins, high blood pressure, poor circulation or broken capillaries. 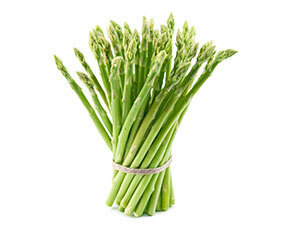 Asparagus is best eaten as fresh as possible. If not eating straight away, wrap it in a damp tea towel, pop in a plastic bag and store in the crisper compartment of your fridge. Remember it needs to be kept cool so it’s good to do this as soon as you return home from shopping. You might have noticed your pee smells funny after eating asparagus - but then again you may not! It seems that only some people (estimated to be around 40% of us) have the gene that allows them to smell the compounds excreted after eating asparagus. This doesn't seem to be related to any impact on your health - it's just a quirky genetic trait! Avocados are one of only two common fruits that are rich in fat - the other being the olive - and both provide predominantly healthy monounsaturated fats. A solid body of scientific evidence supports making these fats the major ones in your diet. They can help you to achieve a healthier blood cholesterol profile, improve your insulin sensitivity, help you to control blood glucose levels, improve a fatty liver, and even reduce the amount of fat you store around your abdomen. Avocados are an impressively good source of fibre. Half an avocado contains 6-7g of fibre – almost a quarter of your daily goal. You may also be surprised to know that avocadoes are a good source of vitamin C. This makes them a great addition to a vegetarian meal as they will help you to absorb more plant iron. Half an avocado also provides about a fifth of your daily folate needs. Folate protects your DNA and cells all around the body from damage and therefore plays a key role in anti-aging. Try using mashed avocado in your sandwich or wrap, on toast instead of butter with sliced tomato, boiled egg and cracked black pepper, dice into salads or make into a guacamole dip. 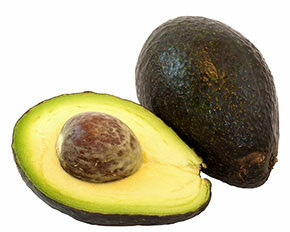 Although not the richest source of vitamin E, avocados do contain a significant level and it’s highly usable. Vitamin E is a major protector of polyunsaturated fats from oxidation and because these poly fats are low in the fruit, almost all of the vitamin E is available for use within your body instead. Bacon is cured and smoked pork meat. The curing process involves soaking the meat in brine (salty water), injecting it with brine or dry curing in plain salt. This is why the end product has a high salt content with around 1000mg of sodium per 100g of bacon. On average a 50g serve of bacon contains almost 500kJ, 10g of protein, 8g of fat, no carbohydrate and 500mg of sodium. Bacon would have originally been produced as a means of preserving the meat and indeed the high salt content prevents the growth of many pathogenic bacteria. However today chemical preservatives, usually sodium nitrite (E250), are almost always added as an extra precaution. Although this is usually thought of in a negative light, it's worth remembering that the pathogens you could pick up from cured meat would do you far more harm and potentially make you very sick. They do therefore play a safety role. However a high consumption of processed meats including bacon has been associated with an increased risk of heart disease, diabetes and certain cancers, especially colon cancer. The nitrite preservatives, the high salt content or other unknown factors may be to blame. If you enjoy your bacon you can certainly continue to do so, but I do suggest that you don't eat it every day. I suggest limiting bacon to no more than once or twice a week for this reason. You can also help to protect yourself by ensuring the rest of your diet is rich in plant foods with their beneficial compounds. Nutritionally bacon varies enormously depending on the cut. Streaky bacon comes from the pork belly and has visible streaks of fat throughout the rasher. Back bacon is leaner as it is mostly the loin from the middle of the back of the pig. 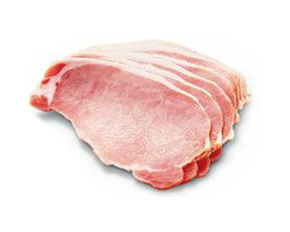 In Australia bacon sold as middle bacon, has both the eye of the loin at one end with a long streaky bacon 'tail'. Short-cut bacon has this tail removed so is far leaner. Depending on the cut bacon can range from 5-16% fat, with about 40% of the fat present being saturated fat. Bananas are a pretty fantastic natural snack, served up in it's own biodegradable packaging. If you've been avoiding them because you're scared to eat carbs, then it's time to reevaluate the humble banana. It has a whole load more to offer you than a commercial, highly processed high protein bar! A medium banana provides about a third of vitamin C, 13% of your potassium, 12% of your magnesium, 10% of your riboflavin and 10% of your folate for the day - all for only 350kJ. The carbs are not in fact much higher than many other fruits, with a medium sized fruit providing ~18g. Furthermore those carbs are slowly absorbed as the GI of bananas is 52 (low GI is 55 or less). This is what makes them such a popular snack with athletes. Freeze ripe bananas, removing the skin and stringy parts first, to use in smoothies or in your Yonanas machine. 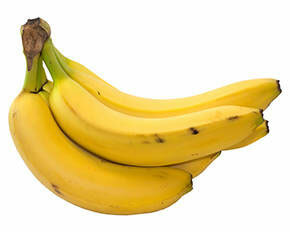 When bananas are still firm and slightly green, they are high in resistant starch. This is starch that resists digestion by us, and so acts like fibre, entering the colon where it is preferentially fermented by the 'good' bacteria present. This helps to promote their growth and push out the 'bad' bacterial groups. A healthy gut flora improves our immune system, can help improve blood cholesterol profiles, has an effect on our brain health and may even influence our body composition. Barley was one of the first grains to be cultivated and has been used a staple food by many since biblical times. Today it is more often fermented and used to make beer. 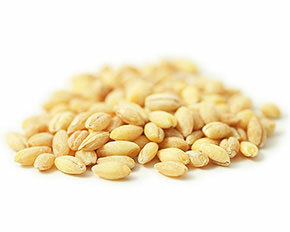 It is making something of a comeback as the nutritional benefits of this grain are recognised. Barley is especially rich in fibre with 16g/100g of pearl barley - that's four times the fibre of brown rice! Like oats, there is a high percentage of soluble fibre, including beta-glucans, shown to be effective in reducing blood LDL-cholesterol. Fibre is essential for good gut health as it both keeps you regular, reducing the risk of diverticulitis, haemorrhoids and other gut problems, and encourages a healthy population of microbes in your colon. Your gut microbiome is really like another organ and has wide and varied effects on our health from boosting immune function to influencing brain function. Barley is rich in several micronutrients including B group vitamins, especially thiamin and niacin, iron, manganese, phosphorus and potassium. Although we classify barley as a carb, it is around 10% protein. This makes it a particularly valuable addition to vegetarian and vegan diets, but also adds considerable protein to any meal. Barley is most commonly available as pearled barley, where the bran and outer husk of the grain are removed. It is more palatable in this form, and although some of the fibre and nutrients are lost in the process, the figures given above are for barley in this form. You can search for pot barley (sometimes called Scotch barley) which contains more of the bran layer and therefore is even more nutritious. The good news is that both barley types have a low GI and therefore provide slow-release carbs. The CSIRO in Australia developed a super barley variety called BarleyMax. Without using any genetic modification, they produced a barley that was especially high in resistant starch. This is a type of fibre that is known to be key in promoting a healthy gut bacterial population and in turn, good gut health. In Australia you can buy barleymax as ready to eat cereals, barley wraps (both sold under the brand Goodness Superfoods), and as a grain mix for use in place of regular rice (sold as Rice Plus). Barramundi are an excellent source of protein with 19g per 100g, they have no carbohydrate and are low in fat. The fats present do contain a significant amount of the long chain omega-3 fats: 100g of freshwater barramundi provides 11mg EPA and 50mg DHA; Saltwater barramundi has slightly more DHA with 76mg. This is 15-20% of your target for the day, as recommended by the NHMRC to reduce your risk of chronic disease. Barramundi is also rich in several micronutrients. 100g provides 78% of your niacin, 40% of your phosphorus, 28% of your iodine (often low in our diets), 14% of your potassium, 12% of your magnesium and is one of the few food sources of vitamin D, providing around 15% of your daily requirement. Barramundi is less good for iron and zinc with only low levels present. 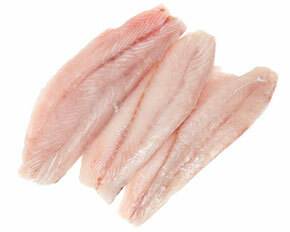 Wild and farmed barramundi are listed as amber in the Australian Sustainable Seafood Guide. This means think twice before buying. There are concerns over stock in some areas. They advise avoiding barramundi farmed in sea cages as this has a detrimental effect on the local environment, and avoid imported farmed barramundi. Barramundi are almost always born male, and only become female when they are 3 or 4 years old. Finding a younger man is the only way to go for Barramundi! Basil is an essential herb for many French, Italian and Mediterranean dishes. It's infinitely better fresh, but still worthwhile having some dried basil in your pantry to fall back on. It is best picked while the leaves are young and then eat them raw, or thrown into your dish at the very last moment. Basil is classically paired with tomato in salads and pasta sauces, or made into pesto with olive oil, parmesan, pine nuts and garlic. Try making your own at home - the flavour is incredible and so much better than bought. Fresh basil has good antioxidant power - but to benefit you do need to ensure you include a good amount. One or two leaves to garnish your dish looks pretty but won't bring you the wealth of beneficial compounds the plant contains. Basil contains several phytochemicals (plant chemicals) with anti-cancer potential including curcumin (found in higher levels in turmeric), gingerol (the same chemical found in ginger that gives it a slight spiciness) and capsaicin (the chemical that gives chilli it's bite). 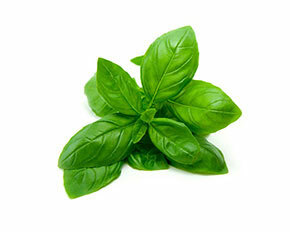 Basil is also a terrific source of vitamin A, folate, vitamin C and several minerals. Thai basil is a different variety of the same herb, and used commonly in Asian cuisine. It tends to have a slightly more pungent, stronger taste that works well with stronger flavours. Both varieties are easy to grow at home in a pot, making it easy to have fresh leaves to hand. Bay leaves (Laurus nobilis) are often used in Mediterranean and french cooking and use can be traced back to ancient Greece. The leaves can be use fresh and they have a lovely aroma, but are usually dried. However over time the dried leaf loses flavour and so do ensure you use them before the best before date - after about a year they will add little to your dish. Bay leaves add flavour to stocks, casseroles, soups and are traditionally used to infuse milk that goes into sauces or milk puddings. 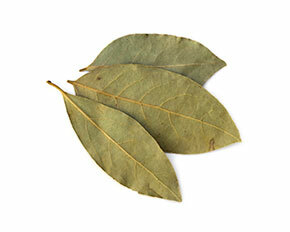 Because the french name for bay leaves is laurier they are sometimes wrongly translated as laurel leaves. This is dangerous as leaves of laurel other than bay leaves can be highly poisonous. If you're picking your own fresh leaves make sure you are confident you have the correct tree! Bees pack collected pollen into little chambers within the hive, mixing it with a little honey, bacteria, fungi and enzymes along the way. The resultant pollen balls are the food source for the newly born bees in the hive. It is collected and sold as a health food product with claims of being ‘nature’s perfect food’, for boosting energy, enhancing athletic performance, strengthening the immune system, and as a supplementary protein. Despite the hype, unfortunately there is no scientific evidence to back up these claims. There have also been documented cases of severe anaphylactic reactions to bee pollen. Pregnant and breast-feeding mothers should avoid bee pollen. The nutritional composition of bee pollen is not listed in standard food data tables, and so the only sources of information are those selling it. It does seem to be protein-rich, varying from 30-40%, and it may well contain a number of nutrients. However it is far from being a perfect food – but no food is. 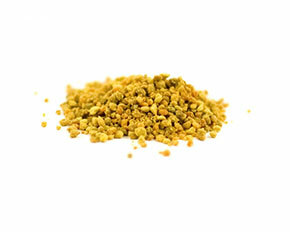 Claims that taking bee pollen can help to reduce seasonal allergies to pollens are also unsubstantiated. The only published research I could find on the nutritional composition of bee pollen found that it contained no fat-soluble vitamins, no vitamin C, and no carotenoids. It is certainly not a 'perfect' food there. Unless properly conducted trials, with results published in peer-review journals appears, I would give this product a miss. You can obtain your nutrients elsewhere, or take a properly controlled supplement so that you know what you are getting. Beef is rich in protein with 100g providing about 22g. As with other red meats, beef is an excellent source of haem iron, which is better absorbed than the non-haem iron we get from plant foods. 100g of beef provides 2.2mg of iron - that's 12% of the daily need for pre-menopausal women and 28% that for men and post-menopausal women. A regular sized steak is larger than this, so you can see that beef can substantially boost your iron intake. 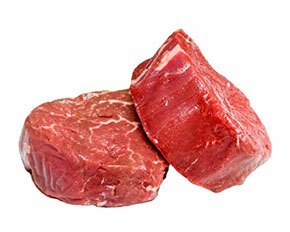 Beef is also a rich source of zinc with 3.7mg/100g. Men have a higher requirement than women for zinc and it's necessary for healthy sperm. A 200g steak can provide 53% of a man's daily requirement. For women a 100g steak provides 46% of their daily requirement. The fat content of beef will vary from about 6 to 15% depending on the cut, and whether trimmed of selvage fat. Beef fillet is the leanest cut with per 100g, 6.3g fat of which 2.4g saturated fat, 0.6g polyunsaturated fat and 2.7g monounsaturated fat. So although you usually hear that red meat is high in saturated fats, beef in fact has a similar amount of monounsaturated fats. Marbled beef such as wagyu may be favoured by chefs - the fat melts through the meat while cooking helping to keep it moist - but nutritionally this is not the best choice. An Australian study compared the levels of inflammatory markers in the blood after eating wagyu and kangaroo - a lean game meat. While there was no rise after the kangaroo, there was a marked rise in several of these markers after eating the much fattier wagyu. The red meat our hunter-gatherer ancestors ate was from wild animals that had lower fat and saturated fat, and higher omega-3 fats compared to domesticated animals we eat today. I recommend choosing grass-fed beef (sometimes labelled pasture-fed) to get a meat closer to the meats we ate in the past. Beetroots have rarely been listed on typical superfood lists, but that is all likely to change. Recent research has shown that this beautifully vibrant purple root vegetable can significantly lower your blood pressure. Beetroots are one of the best sources of dietary nitrates. These are converted to nitric oxide in the body, which in turn helps to relax blood vessels and lower blood pressure. Beetroots are also an excellent source of folate with a medium sized root (80g) providing 25% of the RDI for women. Folate is essential for protecting DNA from oxidative damage through our lifespan, and for creating healthy new cells. You'll also a good dose of fibre with almost 3g per beetroot and all for only 130kJ and 6g of carbohydrate. Beetroots contain a special group of phytonutrients called betalains - in particular two called betanin and vulgaxanthin. These are responsible for the fabulous colour, but they have also been studied for their anti-inflammatory and antioxidant power. 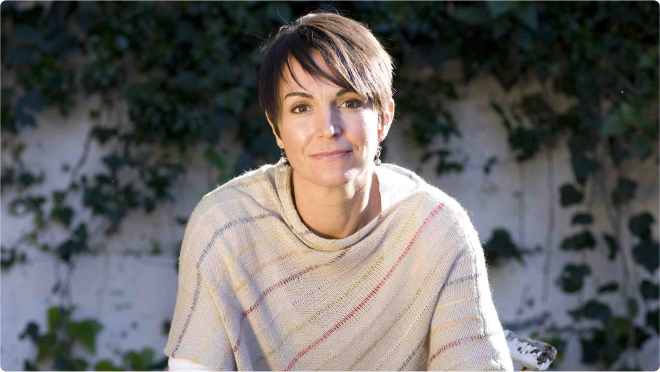 They also seem to boost the detoxification processes in the body. All up they are a pretty worthwhile addition to your diet! Try adding beetroot to your salads, grate raw beetroot and add to sandwiches and wraps, roast them in extra virgin olive oil and balsamic vinegar, or throw into your Vitamix to make a fabulous purple smoothie. 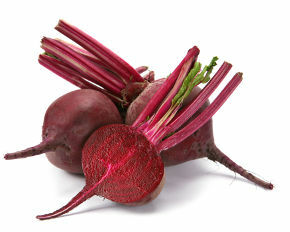 Some of you - an estimated 10-14% - may find that your urine has a pink hue after eating beetroots. This is called beeturia and although it is harmless it is more common in those with iron deficiency. It may be that you simply ate a lot of beetroots! So don't panic if it happens, but it just might be worth a check of your iron status. Beetroot leaves are so often thrown away, yet when fresh and crisp they are delicious in salads, tossed into a stir-fry at the last minute, or you can add to a soup. They are nutrient-packed with 60% more fibre than kale, and more thiamin, riboflavin, magnesium, calcium and iron! They are also a good source of vitamin E, usually low in green leafy veg, with a cup of leaves providing almost 10% of your daily requirement. 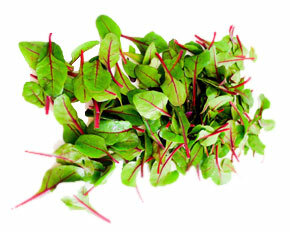 Beetroot leaves are also rich in the carotenoids that promote good eye health, lutein and zeaxanthin. A high consumption of these phytonutrients is associated with a reduced risk of cataracts and age-related macular degeneration, a major cause of blindness worldwide. 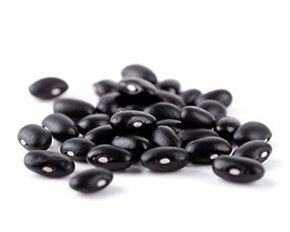 Black beans, sometimes called turtle beans due to their glossy black coat, belong to the legume family. They are one of my favourite beans as they are winners nutritionally while also delivering on taste and meaty texture, keeping their shape during cooking. It used to be hard to find them ready cooked and canned, but recently they have become much more available and you should now spot them in your local supermarket. You can of course cook them from dried, but do be sure to soak overnight before cooking to reduce the anti-nutrients and reduce the levels of compounds such as raffinose that can cause flatulence. A cup of black beans (which counts as a protein block or as a carbohydrate block on Get Lean) delivers 31g of available carbohydrate, 16g of plant protein, very little fat and an impressive 16g of fibre. Importantly the fibre includes insoluble fibre found in the skin, and both soluble fibre and resistant starch in the bean itself. This makes it a fabulous food for fuelling good gut bacteria, keeping you regular and promoting general gut health. Black beans are one of the best plant sources of iron, delivering over 4mg. You’ll also get a good dose of folate – important for protecting DNA from damage as we age – magnesium, phosphorus, manganese and the B group vitamins thiamine and riboflavin. We usually think of fruits and vegetables being our primary sources of phytochemicals such as antioxidants, but black beans score impressively well here too. The gorgeous dark purplish black colour comes from a group of anthocyanins – a sub-group of flavonoids being studied for their ability to protect cells throughout the body from free radical damage. Black beans are traditionally used in Latin American dishes such as burritos and in Spanish, Portuguese and Punjabi cuisine. They are very versatile in cooking from soups to salads to casseroles. 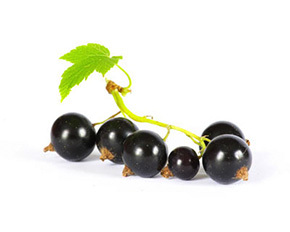 Blackcurrants are the berries of a shrub called Ribes nigrum. It grows best in a temperate climate with plenty of rainfall and therefore is most abundant in northern parts of Europe and Asia. As a child growing up in Scotland we used to pick wild blackcurrants in summer and eat them directly off the bush, although they tend to have a quite tart taste and are not as sweet as other berries. They do make the most fabulous jam however! Nutritionally they are incredibly rich in vitamin C with half a cup of berries providing about 100mg - more than twice the amount adults need in a day. They also provide small but significant amounts of iron, potassium and manganese. Like other berries the energy density is low with a half cup providing only 150kJ. However since theya re usually consumed with added sugar as a jam, this of course bumps up the energy content. Blackcurrant puree is a wonderful ingredient to use in marinades for red meat, imparting a rich flavour. Try buying blackcurrant jelly and adding it to a marinade for your roast, or simply add a tablespoon to your gravy.